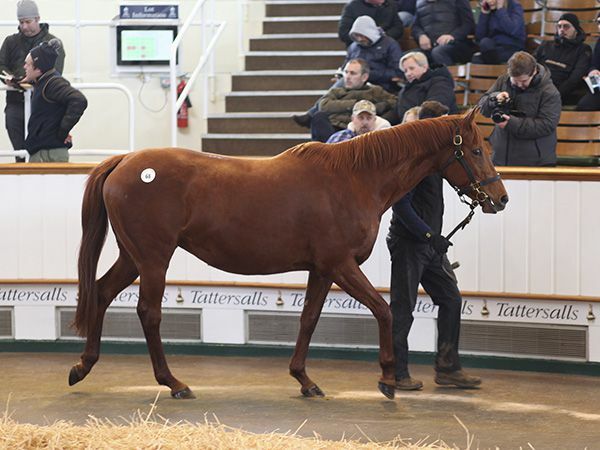 The two-day Tattersalls February Sale kicked off with a solid clearance rate of 75% and three lots topping 50,000 guineas. 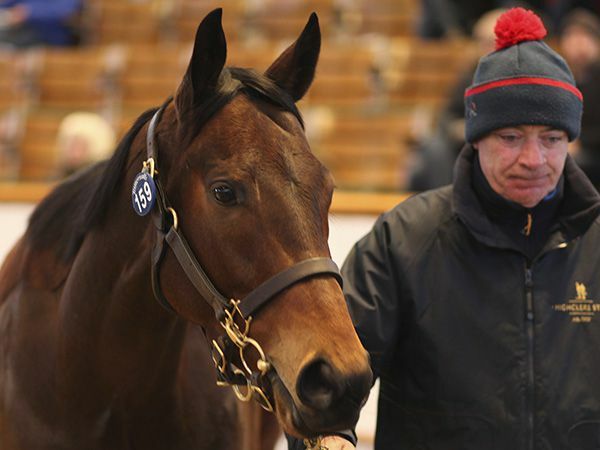 The 130 lots sold realised 925,700 guineas at an average of 7,121 guineas whilst the median was 2,750 guineas. David Hilton, stud manager at Oakgrove Stud, secured the top priced lot for the day when going to 55,000 guineas to secure the PEINTRE CELEBRE mare ALL I NEED. Consigned by Voute Sales, ALL I NEED hails from a top-class Wildenstein family, being out of ANGELITA, the dam of the Group 3 Prix Allez France winner AQUAMARINE, and a half-sister to the dual Grade 1 winner ANGARA. "We have Altesse Imperiale, who is under the second dam, at home and she has done very well for us," said Hilton. "She has bred four winners, three of them black-type horses, including Altruistic, who finished third in the Racing Post Trophy, so it made sense. "It is a very active family and she suits us physically – she is a fine mare and we have breeding rights in some strong bodied stallions. We have not got a stallion in mind yet, we'll probably discuss in the horse box on the way home!" ALL I NEED has a filly foal by SHALAA and was offered carrying to the French-based stallion PEDRO THE GREAT. David Cox went to 52,000 guineas to secure the Listed-placed KODIAC filly SNAZZY on behalf of Mick Flanagan. SNAZZY is out of the ACCLAMATION mare TILTHE END OF TIME and finished third in the Listed Marygate Stakes at York for trainer Charlie Fellowes and owners Highclere Thoroughbred Racing. Her great grand-dam is the Group 2 King’s Stand Stakes winner CASSANDRA GO, whose daughters and granddaughters include the Group 1 winners HALFWAY TO HEAVEN, RHODODENDRON, MAGICAL and PHOTO CALL. 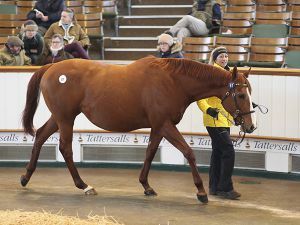 The third highest priced lot on the opening day of the Tattersalls February Sale was ART OF DANCE who was knocked down to BBA Ireland’s Eamonn Reilly for 50,000 guineas. The daughter of MEDICEAN was consigned by Baroda & Colbinstown Studs and offered in foal to leading first season stallion NO NAY NEVER. "I bought her Bated Breath colt Marshall Law as a yearling for 72,000 guineas here in Book 2. He is in training with Jessie Harrington and has run well so far - hopefully he will win a maiden as a three-year-old. "Art Of Dance is in-foal to No Nay Never, which is very attractive, and she has been bought for an Irish breeder." ART OF DANCE was bred by the Duchess of Bedford’s Bloomsbury Stud and hails from their matriarch MRS MOSS whose offspring include the Japan Cup winner JUPITER ISLAND, Group 2 Queen Mary Stakes winner PUSHY and Group 2 Gimcrack Stakes winner PRECOCIOIUS. The Tattersalls February Sale continues on Friday, February 1st with the session commencing at 10am.